The Grand Ole Opry returned to Country Radio Seminar tonight for its third consecutive year as it kicked off CRS 2015 following the CRS Opening Night Welcome Reception. The star-studded line-up included artists from various labels, with performances by Chase Bryant, Eli Young Band, Lady Antebellum, Lee Brice, Mickey Guyton, Mo Pitney, Oak Ridge Boys, and RaeLynn. The Grand Ole Opry at CRS was sponsored by My Well-Being Powered by Humana. Big Machine Label Group hosted a CRS performance featuring artists The Cadillac Three, Drake White, and Waterloo Revival at Nashville’s Hard Rock Cafe last night (Feb. 25). 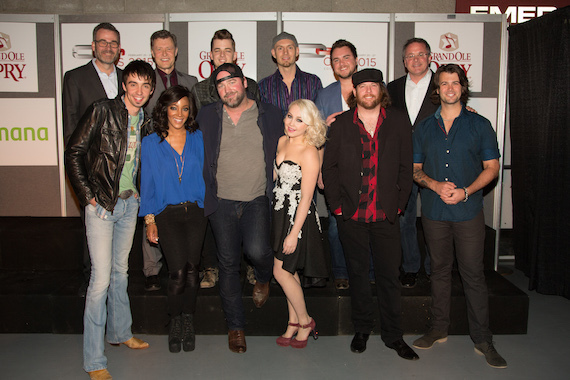 Other BMLG artists Danielle Bradbery and Seth Alley also attended the show. 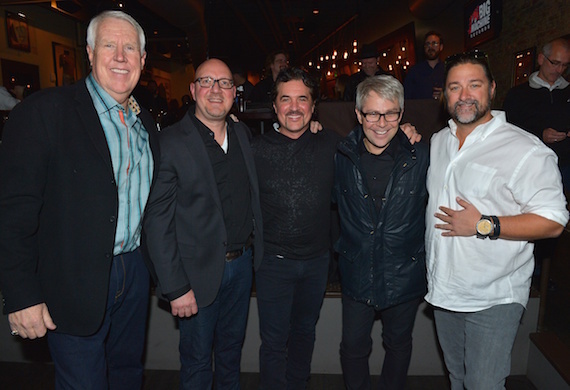 Pictured (L-R): The Valory Music Co. SVP Promotion GEORGE BRINER, Big Machine Records SVP Promotion Jack Purcell, Big Machine Label Group President & CEO Scott Borchetta, BMLG EVP & Republic Nashville President Jimmy Harnen and Dot Records GM Chris Stacey. 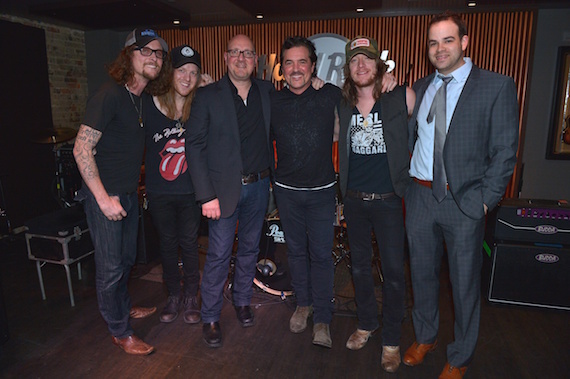 Pictured (L-R): The Cadillac Three’s Kelby Ray and Neil Mason, BMR SVP Promotion, Jack Purcell, BMLG President & CEO Scott Borchetta, The Cadillac Three’s Jaren Johnston and Triple8 Management’s Bruce Kalmick. Warner Music Nashville artists, staff and friends from country radio took over Rosewall last night (Feb. 25) for the annual Warner Wednesday party. The celebration included WMN artists Josh Abbott (of Josh Abbott Band), Dean Alexander, Dan + Shay, Brett Eldredge, Gloriana, Hunter Hayes, Jana Kramer, Ashley Monroe, The Railers, Michael Ray, Blake Shelton and Charlie Worsham. 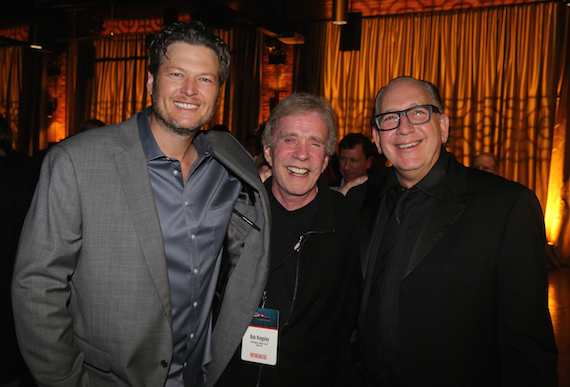 Pictured (L-R): Blake Shelton, Bob Kingsley and WMN, President & CEO, John Esposito.